Ya Jagoff!!! 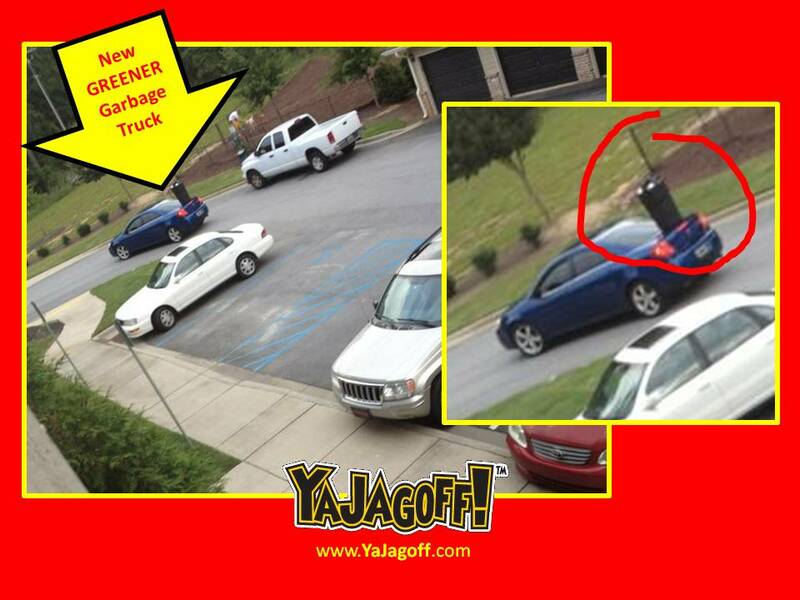 | Is This The New HYBRID Garbage Truck? Home Driving Jagoffs Is This The New HYBRID Garbage Truck? Haaa.. as you know.. we point out the act of jagoffery. One can be caught by us, or one of our un-officially deputized Honorary Jagoff Catchers. And such Honorary members can be displaced Pittsburghers witnessing jagoffery in their current hometown. This one comes from the state of South Carolina. Just in case you’re a little confused, yep, that IS a trash can on the back of that car!!! Now we have seen gas tank caps off, window blown out, side-view mirrors broken but….THIS IS A FIRST!!!!! 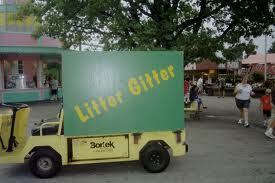 Is BFI implementing a new “greener” hybrid-garbage collection vehicle? If so, we like it! Wondering if they will give jitney rides too?? Wait, remember when your grandpap had a “litter bag” hanging from the radio knob in the front of his car?? Maybe this is the new version of that, trying to keep up with the whole “Super Size” fast food meal garbage?? The driver just has to have a Michael Jordan style hook when throwing their empty milkshake cup out of the window. Either that, or, perfectly time the throw according to their driving speed. Ya know how we get things in real-life, like Velcro, from the NASA research?? We believe this vehicle is a result of the high-end research done at Kennywood Park in their re-development of the LITTER GITTER! Go ahead, scroll back up.. we know you want to look at that picture again!! Nope, there are no bungy cords or duct tape holding that thing on. This person is, indeed, driving with a garbage can on their trunk. Haaaaaa…oh God!!! Hey there Carolina-Litter-Gitter, we have no idea if you’re hauling this to the local pizza shop to steal dumpster space, or if you are working on creating a float for the “Garbage Day Parade” or if someone played a joke on ya an put that thing on your trunk sometime in the middle of the night. But here’s one thing we DO know……you have know idea what a rear-view mirror is. Ohterwise you’d have seen a huge black thing when you backed up! As an FYI, it’s that shiny thingy in the upper middle of your windshield that you sometimes use to fix your hair and pick poppy seeds outta your teeth, Ya Jagoff!!!! 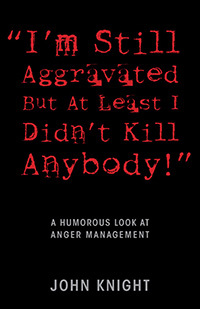 Win a signed copy of this brand new book from Pittsburgh Comedian John Knight. Click the pic below for deets!!! Thanks to Twitter follower Zak Wojcik for being our Honorary Jagoff Catcher today! Previous articleCar Hokey Pokey With The Neighbor! All I have to say is, I hope they didn’t leave their luggage sitting by the curb.